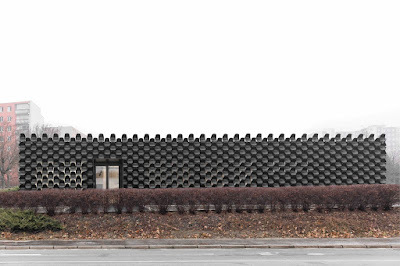 A showroom with an intricate facade in Brno-Vinohrady, Czech Republic. 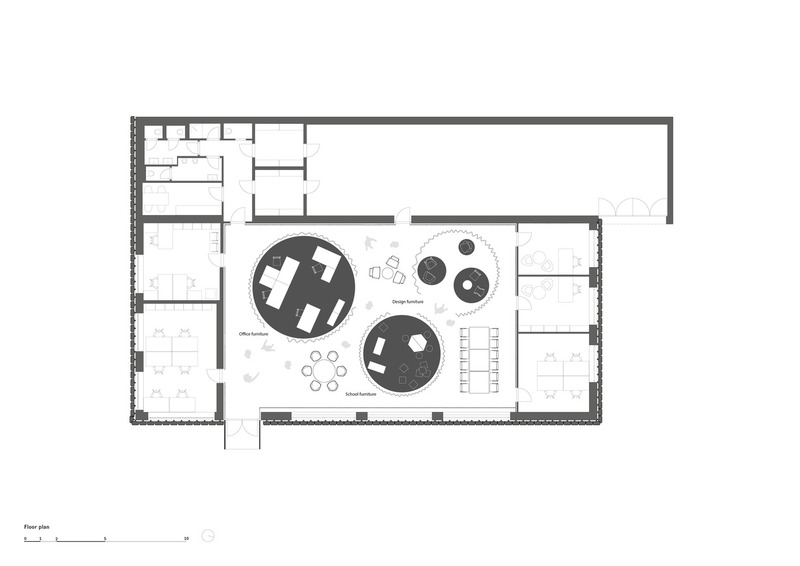 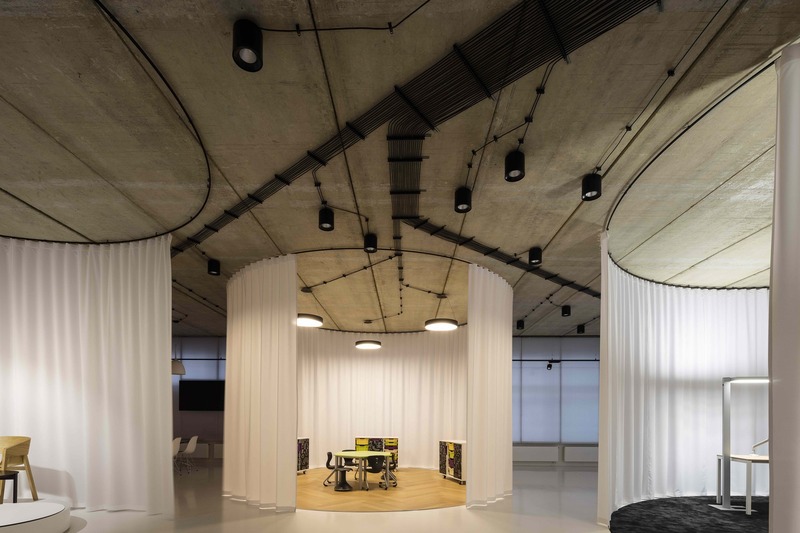 The transformation of a former car show room on the outskirts of a housing estate into a site of the MY DVA group, focusing on the production of office, school and metal furniture, represents another finished structure of the young architecture firm CHYBIK + KRISTOF Architects & Urban Designers from Brno. 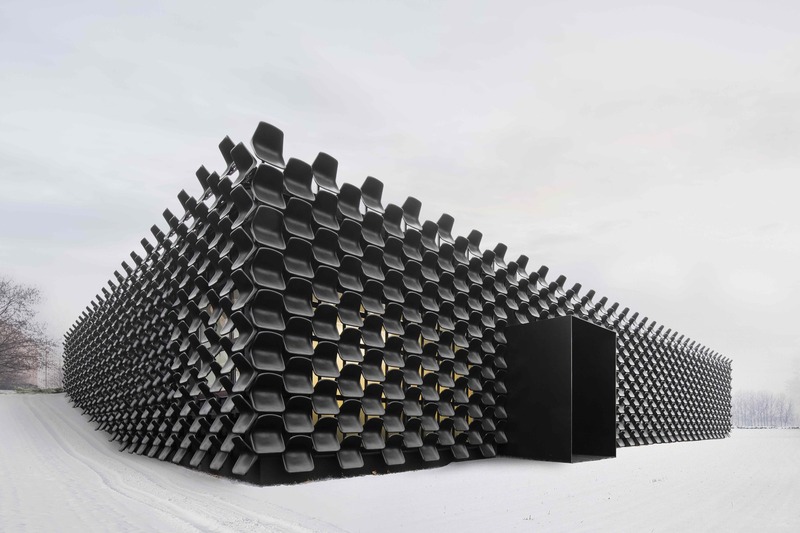 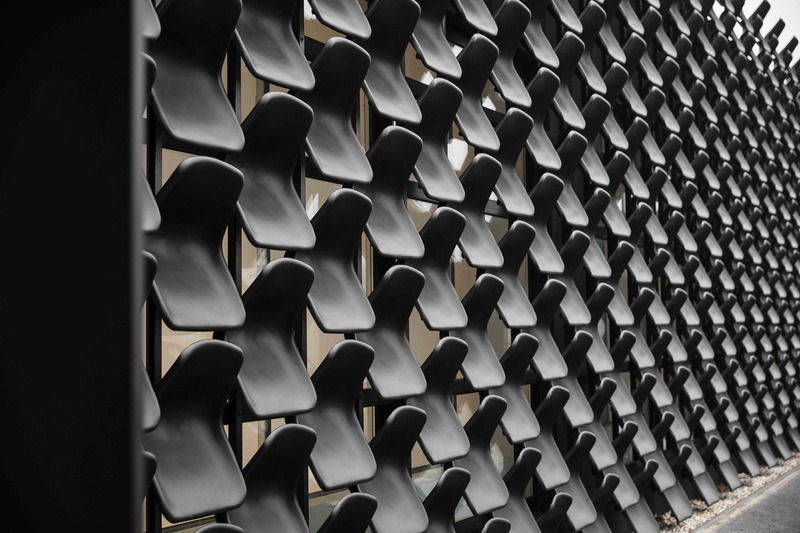 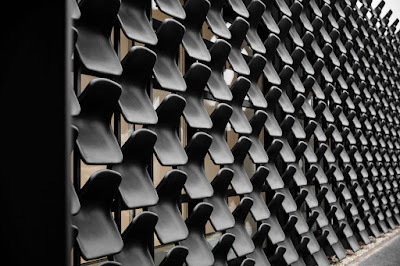 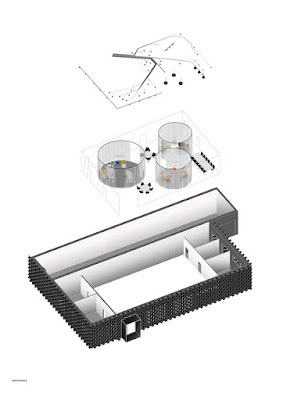 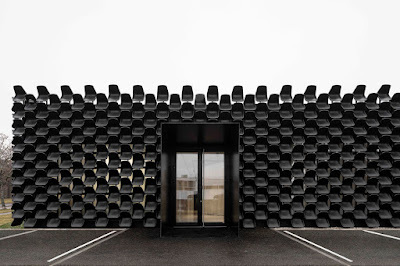 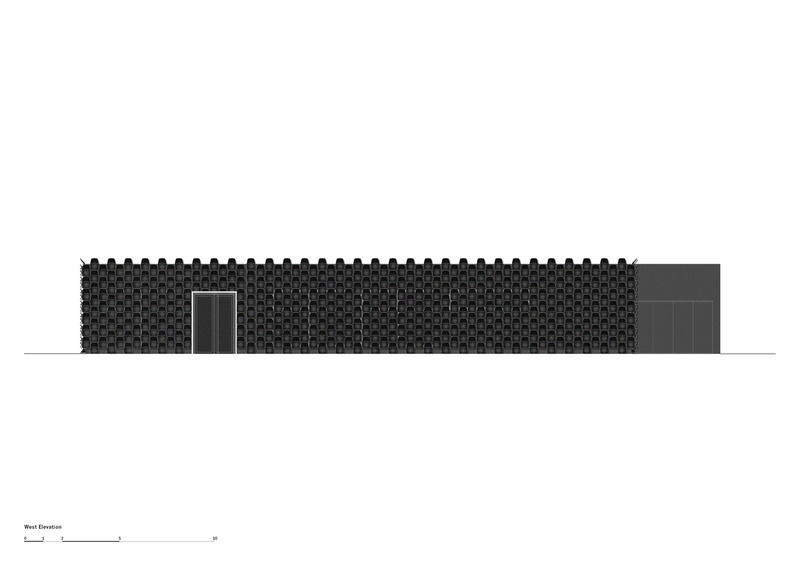 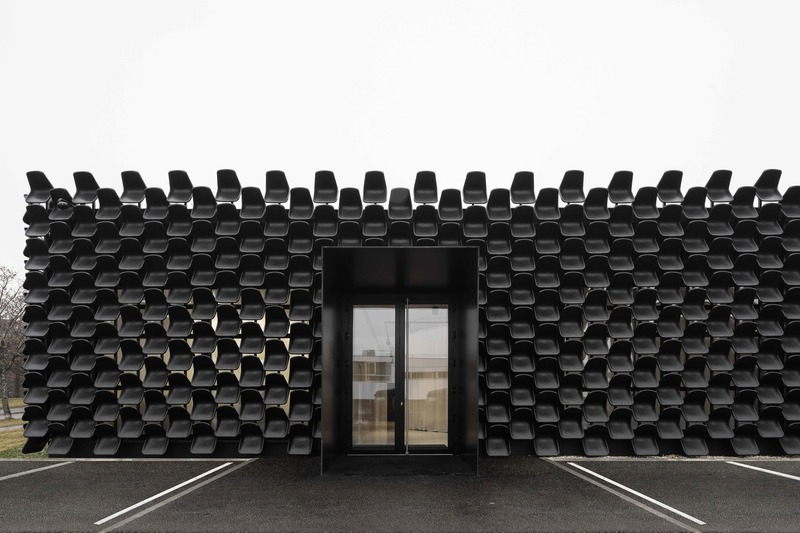 The single-storey building of a poor aesthetic quality turned into a building with a new, easily remembered façade composed of more than 900 black plastic seats. 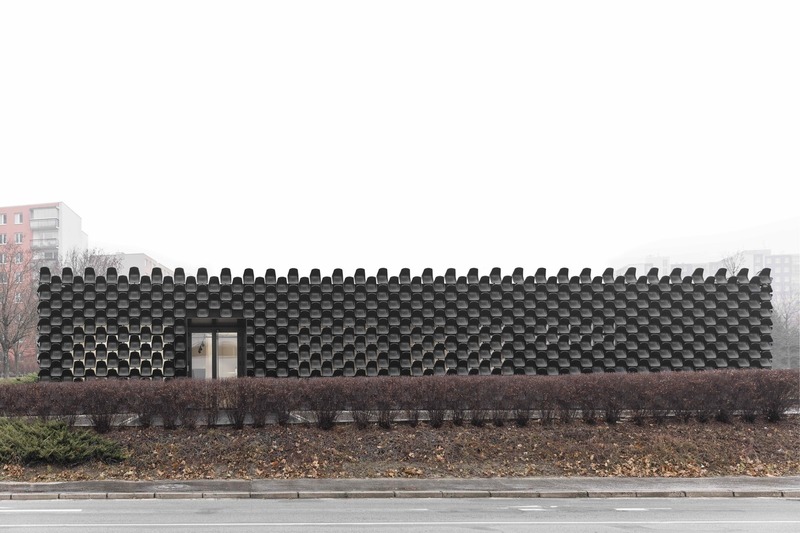 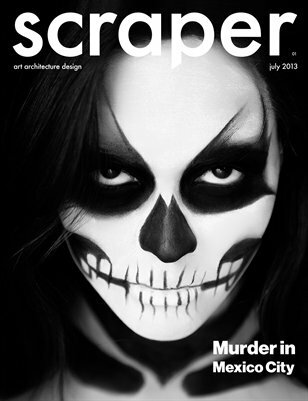 The façade is conceived abstractly, functioning also as a banner advert for the firm itself. 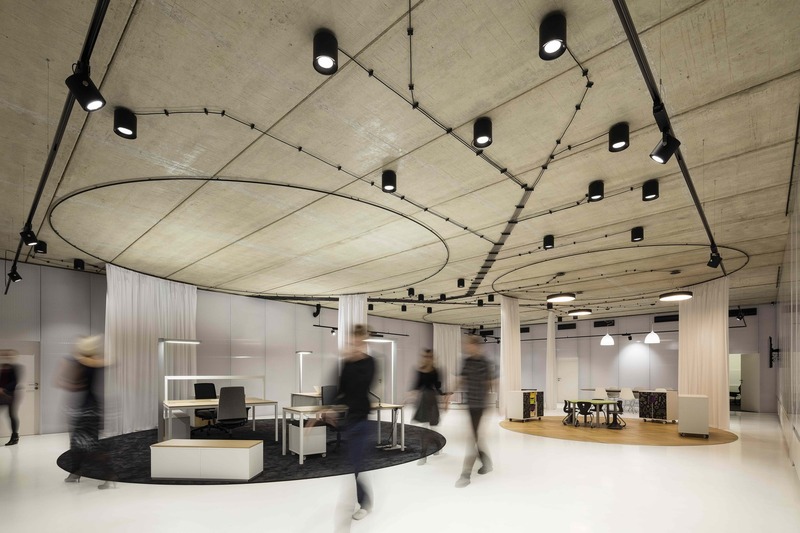 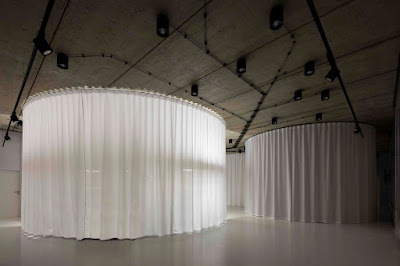 After finishing a simple refurbishment of its interior, a new flexible showroom was created presenting the individual segments of the firm´s production in specific, thematically arranged settings.